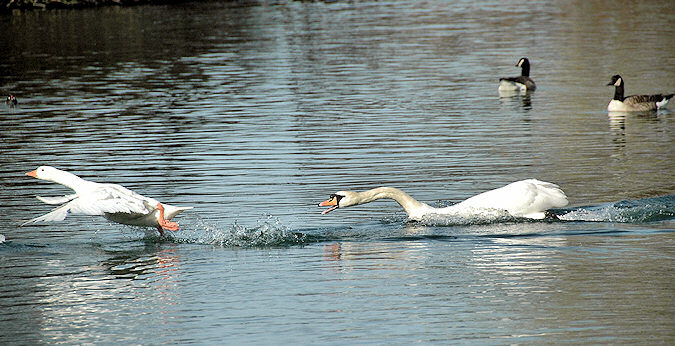 Ministry of Propaganda - 15/Mar/2009: "Swan -vs- Goose"
There were two Swans on the lake, which had taken a serious dislike against a white Goose. At least one of them, sometimes both at the same time, were chasing and harassing the single white goose (I assume it's a domestic goose, probably an Embden Goose). 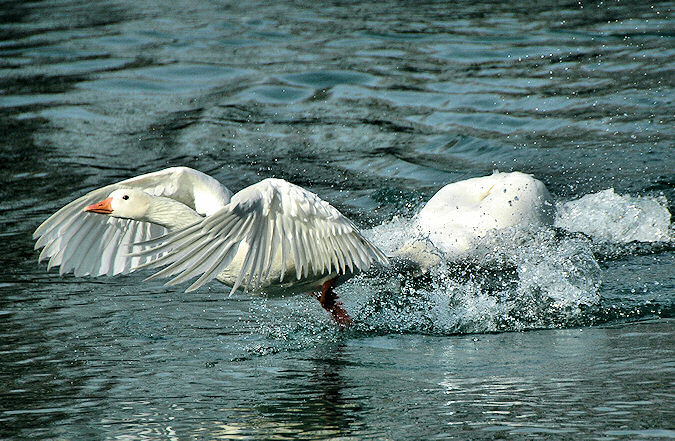 They were getting quite aggressive at times, attacking the goose which then took flight. Only for the swan to catch up with it soon again. 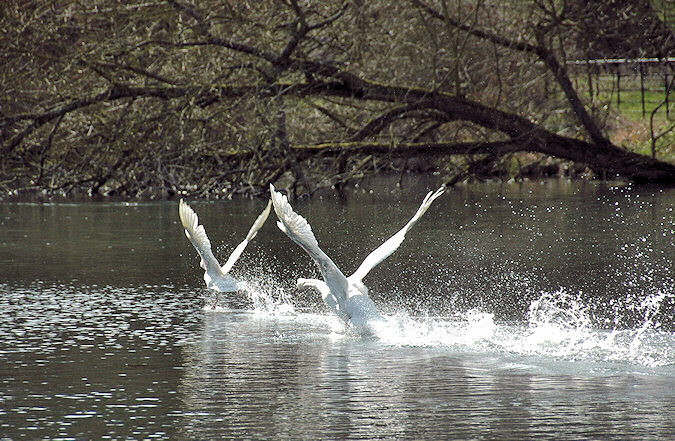 There were a few close calls where the swans got quite close and almost managed to bite it. The chase went on for probably at least 30min, possibly longer (I didn't have my watch with me, so I'm not sure). 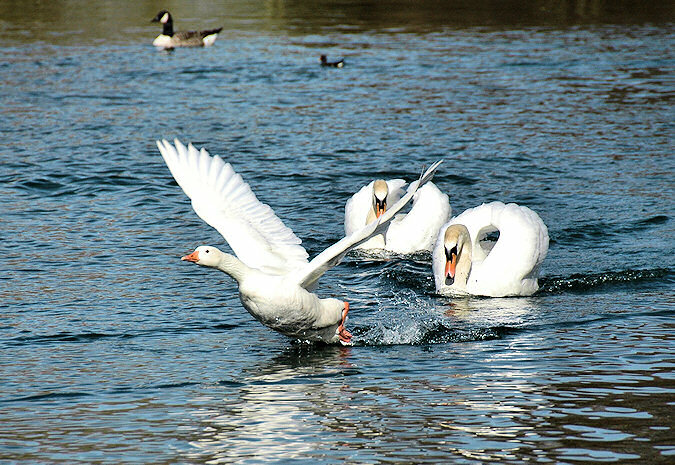 On occasion both the goose and the swan lifted off, the goose fleeing and the swan in hot pursuit. Later in the afternoon I continued my walk around the park and gardens, also briefly visiting the bird hide overlooking the wetlands. Unfortunately I had forgotten my binoculars in the car, so there wasn't too much to see. Obviously also had a look at the house, some quite impressive rooms in there. Some pictures of the house (from the outside, no photography is permitted inside) may be some other time.